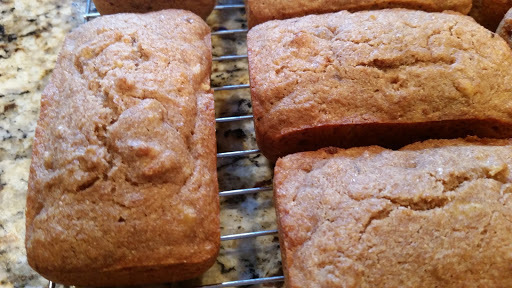 What do you do when you have an overabundance of overly ripe bananas? 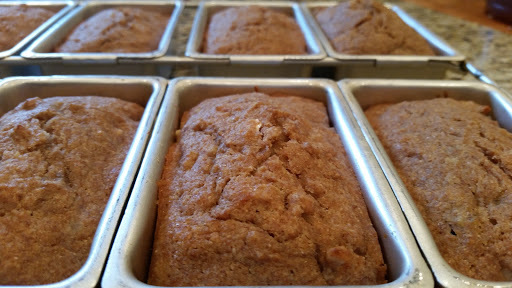 You bake banana nut bread! I will give you the recipe for the basic muffins first. 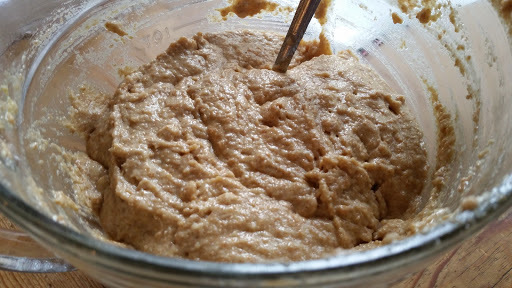 This is the base for any muffin or sweet bread you can imagine… banana nut, blueberry, apple cinnamon, use your imagination. Measure dry ingredients into a bowl. Add the wet ingredients and mix until just blended well. Choose your baking container of choice, muffins, mini loaves, loaf pan, and bake at 400 degrees until a toothpick comes out clean. Mix thoroughly and add to your basic muffin mix. This recipe doubles easily which is what I did. 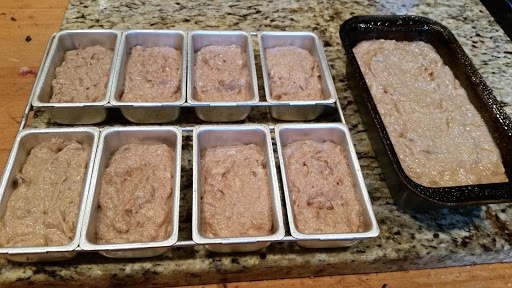 It yielded 8 mini loaves and 1 medium bread size loaf. The mini loaves baked at 400 degrees for 25 minutes. The medium loaf baked at 400 degrees for 35 minutes.